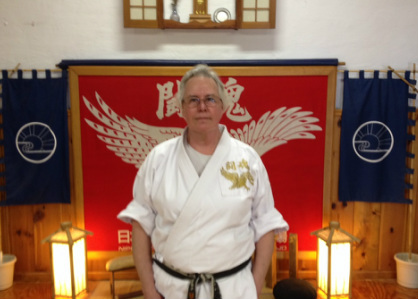 "I have been a student of Ohio Budokan karate club for 15+ years; having started my training at the age of fourteen. My first class, I enjoyed the structure of teaching and form of the techniques almost immediately, and as my study of Genwakai karate continued, I only become more excited and dedicated. Every class, I learn something new about myself and every class I improved. The improvements I make aren't just in the dojo either, but also in my work and everyday life. At Ohio Budokan, you don't just learn how to fight, but how to exercise, eat healthily, and overcome stress too. I've found great teachers, role models, friends, and stalwart opponents in my time at Ohio Budokan Dojo.